As schools and districts set their budgets and plans for next year, I hope they’ll remember the enormous value of the arts – not as a frill, but as a vital, central part of education. I’d love to hear from you, column readers, both youngsters and adults, about how art and music – including what you learned in school – have affected your life. Fortunately, it rained the first few days my wife and I were in Florida – so we looked for things to do indoors. One of the recommended rainy day activities was visiting the Baker Museum, online at http://bit.ly/1isFHJe. Its exhibits are incredible. Among other things the museum features several pieces by Dale Chihuly, who is a master with glass. The ceiling of one hallway is made up entirely of about 600 pieces of colorful glass. It’s stirring and stunning, almost overwhelming in the profusion of color. What a happy hallway! Its ceiling is unlike anything I’ve ever seen anywhere in the world. The museum also features two large, multistory Chihuly glass sculptures. Fortunately, photographer and videographer Harry Forsdick has created a brief YouTube video that includes the ceiling and the two multi-story glass sculptures. Go to http://bit.ly/1X2VfC3 to watch the video. There’s so much more at the Baker showing vast creativity. Some of the art pieces are just fun – like the sculpture “Snufflegator” by Lothar Nickel. Before visiting the Baker, I had never heard of the Spanish painter Paco Pomet. The museum describes his art as “original, quirky and always created with an underlying wit.” That’s for sure. I’m not sure how to interpret his paintings. But they feature incredible contrasts in the way we express ourselves. One painting depicts a group of armed men holding rifles. In the center of the group is one of the characters from “Sesame Street.” Another portrays a space ship on a desolate planet, with youngsters and ordinary people in helmets. A third is a scene from a western town with four men walking down the street. In the center, holding hands with two of the men, is a pink cartoonish character. To learn more about the artist and see these pieces of art, visit http://bit.ly/1PRgZQh. The Baker’s exhibits included an exhibit of two noted clothing designers, Yves Saint Laurent and Roy Halston Frowick, aka Halston, (see their fashions at http://bit.ly/1GjZwxo). Dozens of the dresses that they created were displayed, along with a discussion of their careers. And in May, the Baker will feature approximately 600 works – in painting, drawing, sculpture, ceramics, textiles and photography – by students in prekindergarten through 12th grade. This features about 50 of the most popular songs produced by African-American artists, coordinated by the remarkable founder of Motown, Barry Gordy. They include, for example: “I Heard It Through the Grapevine,” “My Girl,” “Ain’t No Mountain High Enough” and “Dancing in the Street.” The dancing, singing and acting produced a lengthy, well-deserved standing ovation at the end. Learn more about the production at http://www.motownthemusical.com. Over the years, I’ve witnessed and written about several superb student musical productions. Most of us have favorite songs. They comfort, encourage, inspire and amuse us. Along with countless others, I’ve been encouraged, amused and inspired by artwork produced by students. Music, painting, sculpture and other art can enrich our lives. Art can allow us to express who we are, what we know, as well as to learn from the creativity and insights of others. I hope school boards remember this as they set their priorities. Joe….thanks for reminding folks about the important of art and music in our lives. The K12 curriculum today carries such a load there is no room for the skills and appreciations that can impact our entire lives. My wife is a fine water-colorist, and I can still play a few songs on the piano. I doubt neither of these pleasurable diversions would be part of our lives had it not been for our studies in school. Absolutely art (including all art and music) should be in our schools. But perhaps we need to rethink how it’s taught. Kids need to learn to create art, but they also need to learn to appreciate it. This post really struck a nerve both personally and family wise. Personally, I went to Catholic schools, so there was little art to be had,except for one sixth grade nun who must have been an art major – but plenty of singing – which is an art form. Singing in school choir led to singing in church choir which meant meeting a lot of great friends. Our children were active in either school choir or school orchestra and both of them valued it as an integral part of their education. My son played his cello throughout his university career, while studying engineering! As a family some of our best vacation outings were to modern art museums on rainy days – where we would sit in front of any “untitled” work until we each had some creative title for the piece. 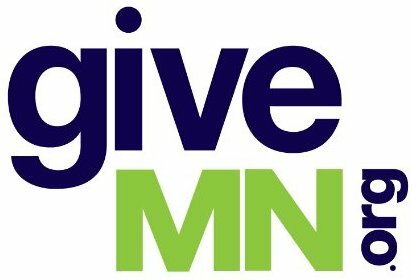 I’m proud today of the Edina Give and Go Foundation which enables our disadvantaged students to have music lessons, get instruments and go on the field trips like Joe’s to the Baker Museum! As a social studies teacher, I always tried to make sure that project choices included something that would let students use fine art talent, and it was amazing some of the projects that were turned in.I watch in amazement as EHS seniors use art in their May Term Projects – writing plays, producing murals..Today, as a retired teacher, I am actually taking some painting lessons – I’m not good, may never be good but its fun and again means meeting great new people. I would add that the arts in the form of movies, theater, television series, documentaries, visual arts, stories and other art forms have changed people views and benefited America immensely. Racial understanding, gender equity, gay rights movements, while only partially done, have changed America. The cultural advancements during my 85 years astonish me. There were no African Americans on TV other than a very few entertainers, who even those couldn’t travel freely, more women occupy important roles: governors, Congress members, CEOs. Most astonishing is quickness of the advancements of gay rights as seen in the several states that rejected discriminatory constitutional statutes. There’s still much to do yet the advances largely led by courageously the arts changed people’s hearts and minds. Remember Archie Bunker, Gentleman’s Agreement and thousands of other examples. Two quick comments. First, I believe the evidence in the literature is reasonably compelling that mathematics achievement can be enhanced through musical performance. (I haven’t compiled a list of citations on this, however.) So it really pains me, when, time after time, students are forced to make a choice at school between being in the band or learning high tech skills such as coding and computational thinking. I do not believe it is a coincidence that, at high tech meccas such as Apple, the number of amateur and gigging musicians is much higher than in the general population. Cutting the arts to “focus on core subjects” is wrong-headed. For many students, it is the chance to engage in classes relating to the arts that even gets them to school each morning.